Quicksand Flooring are the best out there for East London floor sanding. From Newham to Havering, our floor sanding East London team are here to sand and restore your floors to be as good as new. Our restoration services include sanding, staining, filling, and ongoing maintenance. If you think your current floor is too outdated, we can also install new bespoke hardwood floors for you. 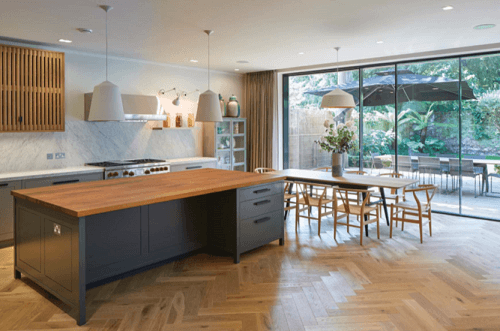 Our East London restoration services are here for all your wooden flooring needs. We provide East London floor sanding for a variety of buildings and businesses. From shopping centres to dance floors, or even your home, our team will leave you with all your wooden floor wishes fulfilled. All our employees are highly skilled and experienced, using the latest floor sanders to ensure the best outcome for our customers. Our floor coatings, such as wax, oil, and seal solutions, are of the highest quality to protect our East London floor sanding team’s work. A floor stain is perfect for a wooden floor that is starting to look worn out. Oil-based hardwood floor staining gives you the opportunity to change the colour of your floor and try something new, without having to pay to replace your flooring. It also provides protection against everything your floor may have to deal with, such as shoes, wheels, and water. 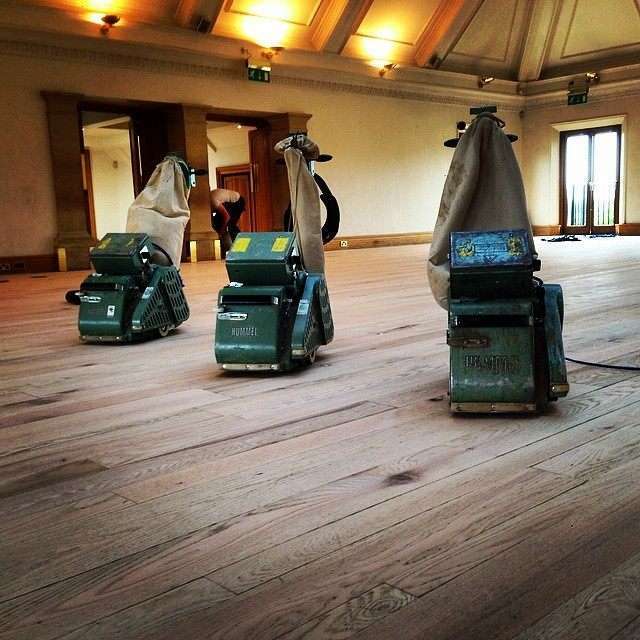 Our East London floor sanding team always go in before we apply a stain, ensuring the coating won’t highlight any scuffs or scratches, instead focusing on the beauty of your freshly sanded floor. Hardwood flooring naturally shrinks and expands throughout its lifetime. With the temperamental temperature in East London and the addition of central heating, this is bound to happen! Damp and dust also make their way into these gaps, which makes cleaning a lot harder. This can be fixed with floor filling from the Quicksand Flooring team. We use silver filler, which is made up of reclaimed floorboards to fill any gaps, as this material doesn’t shrink or discolour over time. Floor maintenance is especially important for our commercial clients, with a lot of people likely to walk on these floors. Our East London floor sanding team offer ongoing wooden floor maintenance contracts to businesses and commercial clients. For commercial areas we recommend having us return every 12-18 months after having your flooring initially restored, allowing us to apply a freshen up coat to prevent the possibility of having to have your floor sanded again. Ready to transform your flooring with our East London floor sanding team? Or on the hunt for someone to install a brand new bespoke hardwood floor in your business or home? Contact Quicksand Flooring and we’ll happily help you on this journey.